We are proud to highlight Miner, one of our many publisher partners here at Two Tap. 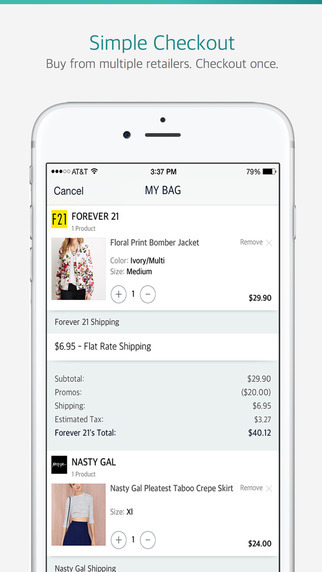 Miner is a leading online shopping app that makes buying clothes easier than ever. Miner provides access to the latest styles and sales from your favorite stores, all in one beautiful iPhone app. The Miner team is committed to creating the gold standard for mobile shopping. Prior to using Two Tap, Miner did not have a checkout process in place. By integrating Two Tap, Miner has been able to deliver a seamless checkout experience for all of their users. Universal checkout across their supported retailer stores. Shoppers can buy items from various stores all in one place without leaving their app. Billing and shipping information is entered once by the shopper. This allows a more hassle-free checkout experience. Real-time product information and availability to the shopper. This gives shoppers the peace of mind that orders are 100% accurate. 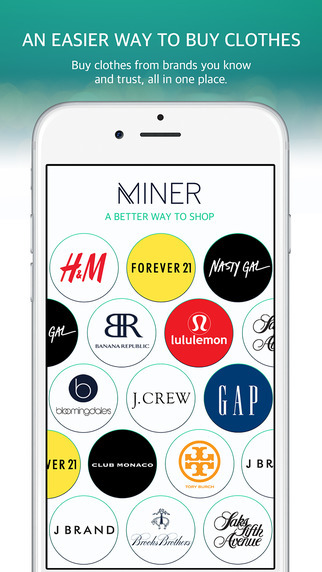 Users of Miner are fashion forward millennials looking to search for items across a variety of retailers in one app experience. Miner featues brands such as Forever 21, H&M, Banana Republic, Free People, J Brand, Saks, Bloomingdales and many more. We welcome Miner to the Two Tap Network!